Can Hearing Loss Trigger Changes in Personality? The consequences of hearing loss appear obvious, such as the stress of the constant struggle to hear and the affect this can have on relationships. But what if the repercussions went further, and could actually alter your personality? Research from the University of Gothenburg shows that this may be the case. The researchers studied 400 men and women aged 80-98 over a six-year time frame. The researchers measured a number of physical, mental, social, and personality criteria through the duration of the study, including extroversion, or the tendency to be outgoing. Unexpectedly, the researchers couldn’t associate the decrease in extraversion to physical variables, cognitive decline, or social obstacles. The single factor that could be connected to the decrease in extraversion was hearing loss. Although people commonly become less outgoing as they get older, this study shows that the change is amplified in those with hearing loss. Reduced extraversion, which can trigger social isolation in the elderly, is a major health risk. 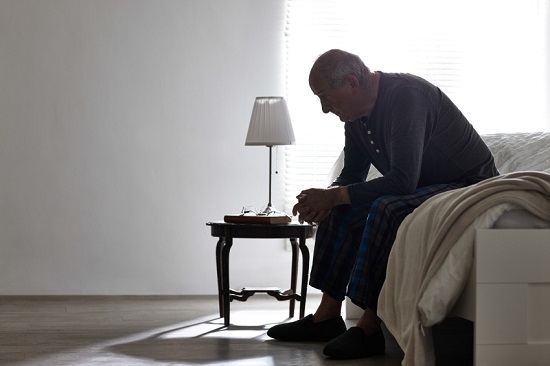 In fact, a meta-analysis of 148 studies examining the relationship between social isolation and mortality found that a shortage of supporting social relationships was correlated with increased mortality rates. Additionally, social isolation is a major risk factor for mental illness, including the onset of major depression. Being less socially active can also lead to reduced physical activity, contributing to physical problems and weight issues, and the shortage of stimulation to the brain—normally obtained from group interaction and communication—can lead to cognitive decline. The health effects of social isolation are well established, and hearing loss appears to be linked to diminished social activity. The question is, what is it about hearing loss that tends to make people less disposed to be socially active? The most apparent answer is the trouble hearing loss can present in groups. For those with hearing loss, it can be exceedingly difficult to follow conversations when several people are talking simultaneously and where there is a great deal of background noise. The constant struggle to hear can be fatiguing, and it’s sometimes easier to forgo the activity than to battle through it. Hearing loss can also be embarrassing, and can produce a sense of isolation even if the person is physically part of a group. For these reasons, among others, it’s no surprise that many individuals with hearing loss decide to abstain from the difficulties of group interaction and activity. If you have hearing loss, think about using hearing aids. Today’s technology can treat virtually all cases of hearing loss, supplying the amplification necessary to more effortlessly interact in group settings. If you have hearing loss, speak with the group ahead of time, educating them about your hearing loss and promoting ways to make communication easier. With a bit of awareness, preparation, and the right technology, we can all make communication a little easier for individuals with hearing loss.